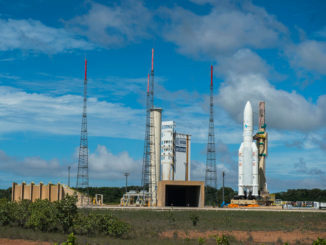 EDITOR’S NOTE: Updated at 7 p.m. EST (0000 GMT) with additional details on the mission. The Chang’e 4 mission — the fourth in China’s main line of lunar explorers — lifted off at 1823:34 GMT (1:23:34 p.m. EST) Friday from Xichang, an inland spaceport nestled between hills in southwestern China’s Sichuan province. Chang’e 4 climbed into the night sky at Xichang — liftoff occurred at 2:23 a.m. Beijing time Saturday — toward the east affixed to the top of a Long March 3B rocket. 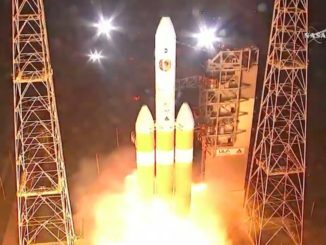 Chinese state television did not broadcast the launch live, as it did for China’s previous lunar mission launch in December 2013, but spectators near Xichang streamed live video of the middle-of-the-night blastoff online without commentary. The video showed the Long March 3B disappearing into the night sky a few minutes after an apparently smooth liftoff from Xichang. The three-stage Long March 3B rocket injected the Chang’e 4 spacecraft on a trajectory toward the moon less than a half-hour after liftoff, Chinese officials confirmed. 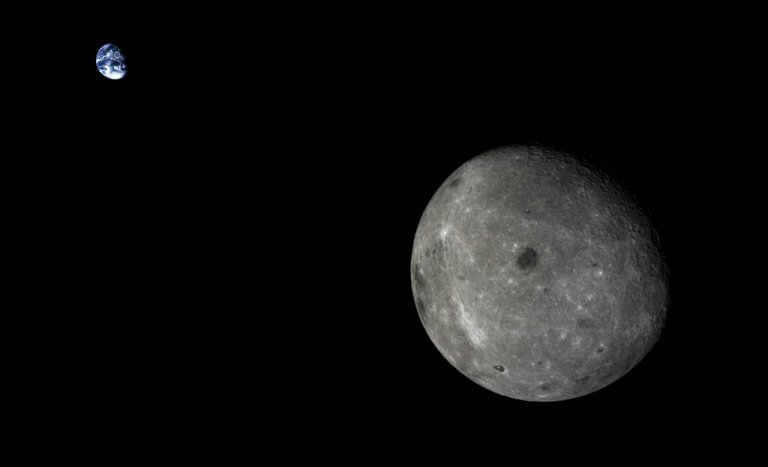 Chang’e 4 is expected to enter lunar orbit Tuesday after a series of course-correction maneuvers, then use braking rockets to descend to the moon’s surface, targeting a landing inside the 110-mile-wide (180-kilometer) Von Karman crater in moon’s South Pole-Aitken basin region in early January. Chinese officials have not released the exact landing date for Chang’e 4, but engineers are expected to target touchdown when the landing site is in sunlight. No mission has explored the surface of the far side of the moon before, and if successful, Chang’e 4 will be a major first in space exploration, reaching a destination that has long been on the to-do list for NASA and international space scientists. Chang’e 4 uses spare hardware built for China’s Chang’e 3 lunar lander and rover, which arrived at the moon in December 2013 with a touchdown in the Mare Imbrium volcanic basin on the near side of the moon. The rover ceased driving a few weeks after landing, but some of the craft’s instruments continued to function for a couple of years, and the stationary lander — a carrier module that delivered the rover to the lunar surface — was still operating earlier this year, according to an update issued by Chinese officials at the time. 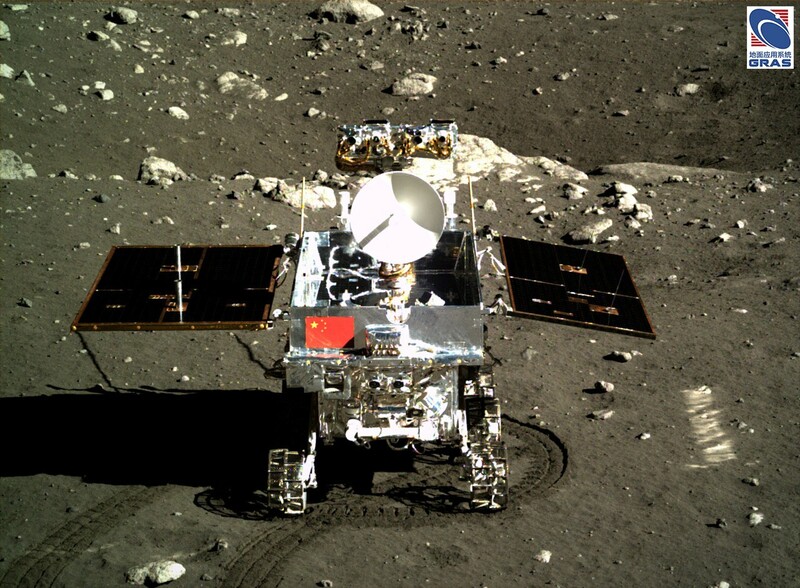 The Chang’e 3 rover, named Yutu and designed to drive up to 6 miles (10 kilometers), traveled around 374 feet (114 meters) before losing its mobility due to a hardware failure, according to Chinese scientists. There are some key differences between Chang’e 3 and Chang’e 4. For example, the lander heading for the far side of the moon will not carry a robotic arm or an Active Particle X-ray Spectrometer, an instrument capable to measuring the chemical elements in lunar rocks and soil. 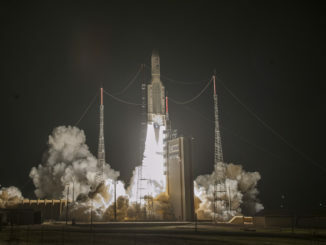 In addition to a suite of cameras on both the stationary lander and rover, the mission aims to deliver a new set of sensors to the lunar surface, some of which are provided by European scientists. The roughly 2,600-pound (1,200-kilogram) landing module, which will make a rocket-powered landing on the moon like Chang’e 3, carries a low frequency radio spectrometer developed by Chinese scientists for astrophysics research. A German-developed neutron and dosimetry instrument on the stationary lander will measure radiation levels at the Chang’e 4 landing site, collecting data that could be useful in planning human exploration of the lunar far side, studying solar activity, and gauging the underground water content in Von Karman crater. The Chang’e 4 rover, which weighs around 300 pounds (140 kilograms), hosts a ground-penetrating radar to study geologic layers buried under the landing site, and a visible and near-infrared spectrometer to gather data on soil composition. Chinese officials approved the addition of a Swedish instrument on the rover to study the interaction between the solar wind and the lunar surface, which is not shielded by an atmosphere from the bombardment of charged particles originating at the sun. Chang’e 4 will also deliver to the moon a student-designed carrier containing potato seeds and silkworm eggs. University students and scientists will monitor the growth of the organisms, which are housed inside a chamber and fed natural light and nutrients once on the lunar surface. Jun said the experiment to place seeds and eggs on the lunar surface could also help engage the public. 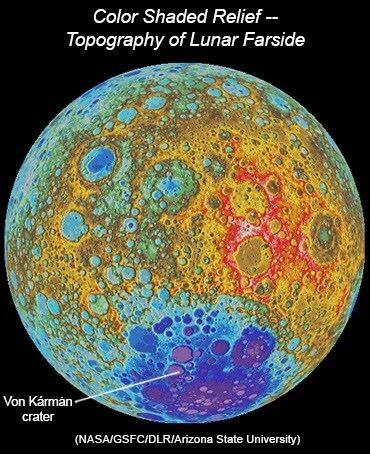 “The soft landing and exploration of the far side, which has never been done before, will gain first-hand information about the terrain and lunar soil components and other scientific data, which will help enrich our understanding of the moon and the universe,” said Zhang He, executive director of the Chang’e 4 probe project, in a report published by China’s state-run Xinhua news agency. 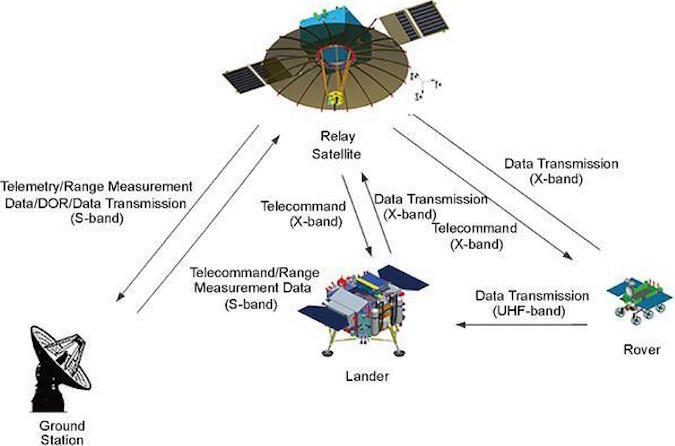 Chang’e 4 is the final planned mission in the second phase of China’s lunar exploration program. China’s first lunar mission — Chang’e 1 — launched in 2007 and surveyed the moon from lunar orbit for more than a year before impacting the surface in 2009. The Chang’e 2 orbiter launched in 2010, explored the moon several months, then flew to a more distant libration point and escaped the Earth-moon system to fly by an asteroid in 2012, a first for China’s space program. At the same space industry meeting in Bremen, NASA Administrator Jim Bridenstine, a former Oklahoma congressman, said he is concerned about China’s military space efforts, but added that the space agency is open to expanded cooperation with the Chinese space program.